Sign up for a free Portuguese newsletter to achieve new levels of success in your Portuguese learning experience. If you are not sure what a newsletter is or wondering if you should or should not sign up for my newsletter, please read on. When learning Portuguese, have you ever come across a particular topic or expression that no book or dictionary explains? Have you noticed that sometimes you understand every single word that a Portuguese native speaker says but you don't understand the context? If you subscribe my newsletter you will see that it is tailored to answer the questions of those like you who are learning Portuguese. By subscribing this newsletter you will start receiving emails with relevant topics about the European and Brazilian Portuguese language and culture. Learn little by little but confidently and you'll get there! 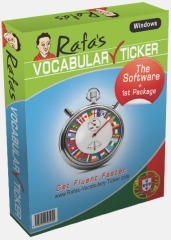 The topics I most often cover relate to ways of learning, phrases that Portuguese native speakers use and are difficult to understand or pronounce, specific grammar points, idiomatic and colloquial expressions, or frequent asked questions that students of Portuguese often ask when they are speaking Portuguese with native speakers or learning the language on their own. If you have enjoyed and learnt from the information I already give you on this website, you will also find this newsletter of great value. I promise you! Subscribe now by filling in the box above. If you wish to read previous editions, click here. Go Back From Sign Up To Home Page. Have You Tried Rafa's Method Yet?